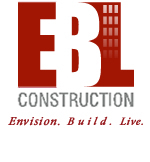 EBL is proud to announce that Julio Lopez has joined our Miami team as a Project Estimator. Julio studied Construction Management at Florida International University and graduated in 2010. Welcome on board!